The first thing I noticed was the fear in her eyes. There was a quiver in her voice, an unknowing blackness of nothing and a longing to have answers. Then I noticed the marks. The marks matter of course but it’s the mental harm that breaks you apart… tears you into pieces. I listened as she cried. I shook my head as she explained. Life is so different behind closed doors… HE is always right… YOU are always wrong. The sooner you learn this the easier it will be. Love is built on fear and manipulation. Possible consequences are how you make decisions on a daily basis which brings a whole new meaning to walking on egg shells. I’ve seen them together. She apologizes instantly and chooses the words she speaks carefully. She doesn’t hold eye contact long before seeming uncomfortable and when she is asked a question she looks at him to answer it. As she explained what happened I felt as if I could vomit. An unsettling fear came welding up inside me as if I were there. Not as a bystander but as a ‘participant’. I was swept back 6 years ago when my best friend looked me straight in the eyes and said “You are pathetic.” Not because she was trying to hurt me but because she loved me. She wanted me to see what I had become. I was a walking ‘nothing’, a pathetic black hole in life and had become robotic. She had the courage to tell me those words in hopes to shake me somewhere deep within my core in hopes that I would make a decision to get my life back. Moment after moment I was reminded of how my life used to be. Emotions surfaced that I gratefully hadn’t felt in years. The wound was fresh and had been cut back open as if it was happening to me all over again. My heart broke and I physically hurt for her. Wanting so badly to tell her how wonderful my life is now and how it can be better. I cried with her as she justified his actions, his words and her reasons for staying. Instead of telling her exactly what she should do I chose to tell her how I understood. “You take this as a ‘lesson learned’ so you know what you shouldn’t do next time.” I stated. It was as if I was sitting across the kitchen table with my ‘old’ self. As if I was looking myself in the eyes begging and pleading for me to be strong enough to make the decision I knew needed to be made. I was just too scared. The unknowing is much more frightening than the known. Even if the ‘known’ is hell because at this point you’ve learned how to handle ‘hell’. The conversation continued for hours and I offered up an embrace with both of us crying. I only hoped somewhere among my words a light would off. At least a feeling that she knew she was not alone in all this and that by looking at me she would also know that life could be better. Even though I’m lonely at times… I’m not miserable anymore. As I walked out the door and headed to my car I stopped. So badly wanting to run back inside, grab her and make a decision for her in which I knew was best. But I know all too well it’s a decision she has to make on her own. The short drive home felt like eternity. I felt completely numb and wasn’t sure which feelings I should be embracing. The old me… the hurt torn empty me… or the new me… the loved, wanted and full me? As my apartment door closed behind me I stood there frozen. Eventually sitting down on the bricks that line my entryway and I cried. For 6 years I have been focused on where I need to be, what I need to work on and where I need to go from here. I’ve focused on pulling myself back together and what needs healed inside me. Yet I never looked to see how far I had come… until now. As I sat there I chose to give myself credit this time. I chose to let myself feel all that I had done over the years and all of who I had worked so hard to become. I’m a wonderful mother and a great friend to many. I have a kind and understanding heart that people hold dear. I listen and love with all I have. I have made it on my own. I have never been proud of myself, hold myself to standards that even a saint couldn’t reach and yet I still try. I have chosen to try and save the world yet in the process I forgot to see how I saved myself. I love me and I am proud of who I have become. Anne Adelle Bio: Anne Adelle grew up in Des Moines, Iowa and currently lives in Seattle, WA with her two young children. 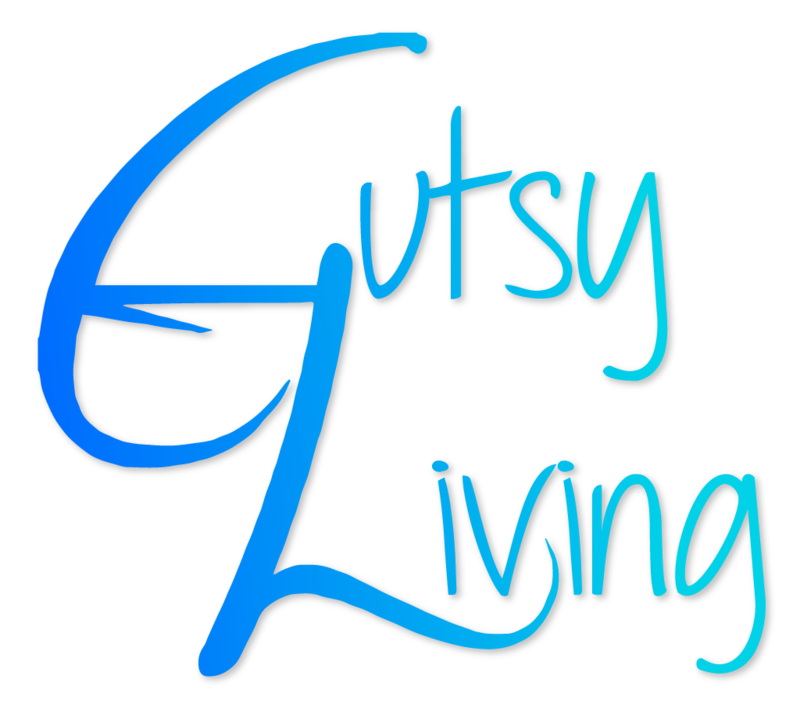 She works as a freelance writer and volunteers for several non-profit organizations in her free time. She is most committed to supporting women who have suffered from domestic abuse. Anne has been writing since she was six and won the Young Authors Award. 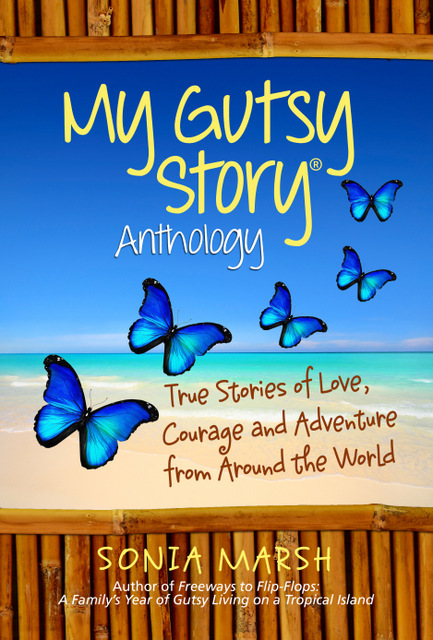 In 2012 Anne left the corporate world in order to fully pursue her passion to be a writer. Pulling from raw experience her first novel portrays a woman struggling to recreate herself after an 11-year abusive relationship through the courage and mishaps within today’s dating world. She looks to have her book published this year. 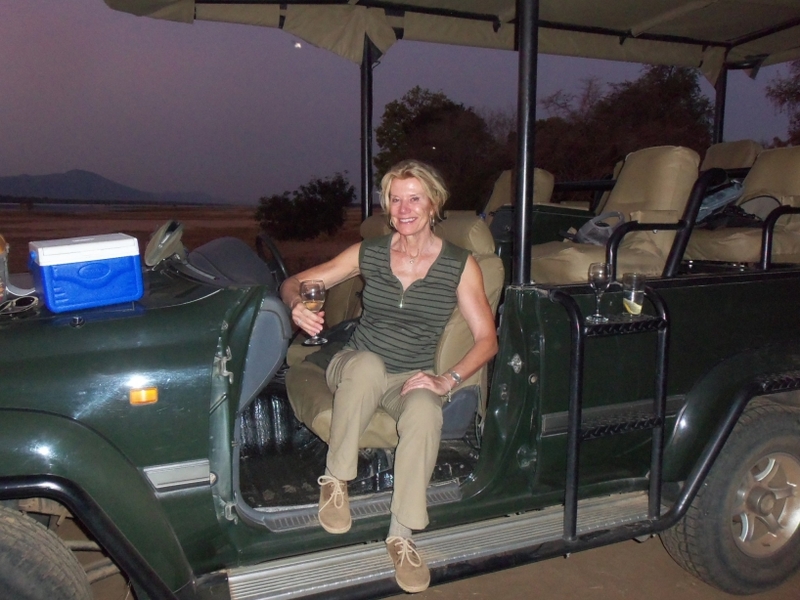 Please check Anne’s website, her Twitter handle is @smconfidential and join her on Facebook. Sonia Marsh Says: I am so proud of your accomplishments and realize how far you’ve come and how much courage it must have taken for you to change and get out of an abusive relationship. I am also grateful to your best friend who “looked me straight in the eyes and said ‘You are pathetic.’ Not because she was trying to hurt me but because she loved me.” Thank you Anne for sharing this and I hope through sharing your story, you can help many other women get out of an abusive situation. 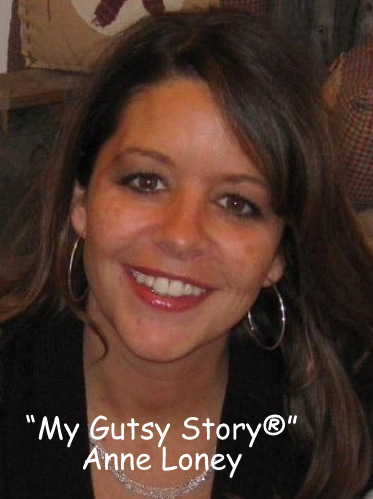 VOTING for your favorite January 2013 “My Gutsy Story®” started on January 31st, and ends on February 13th. You can read all 4 submissions here. The winner will be announced on February 14th, Valentine’s Day. We have a new sponsor, Carolyn Howard-Johson, who is offering her e-book as a prize: The Frugal Editor. 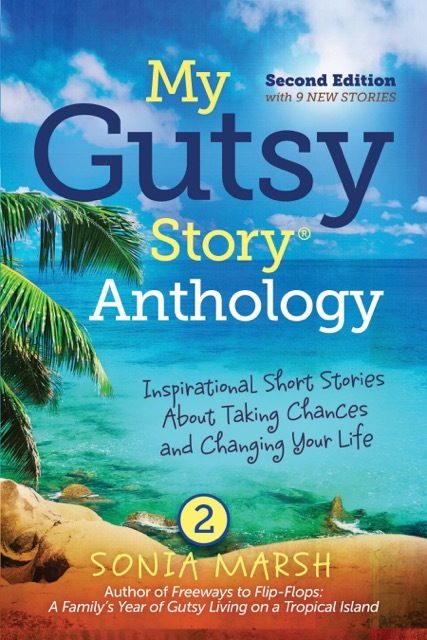 NOW is the time to submit your “My Gutsy Story®” and get published in our Anthology. 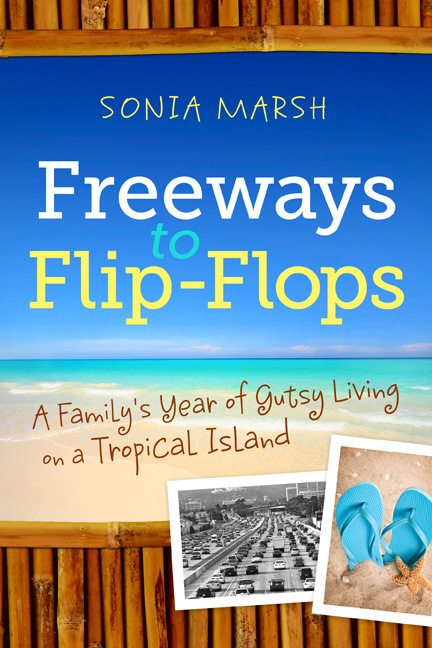 Please contact sonia@soniamarsh.com for details. What an inspiration you are Anne, to other women who are going through the same as you went through. Thanks for submitting your story. Thank you for the opportunity to share my story and your kind words Sonia. No matter what we live through or how hard it is sometimes we have to sit back and look at how far we have come and love ourselves for it. Way to often we forget to give ourselves credit. 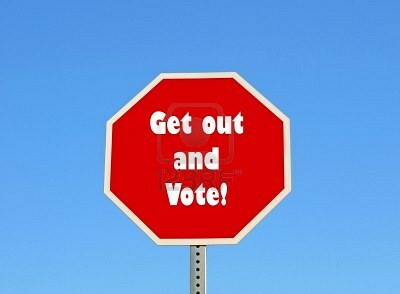 Easy read and important message! I love your piece and the message of hope within it. For anyone who has rebuilt their life from any kind of abusive relationship, it is so important to hear that it can be done. Bravo. Not only well done, but well said. Thank you ladies! I can’t tell you how much I appreciate the feedback and kind words! I’m inspired by the strength you had to sit there and listen to her story for so long. That is love at its purest, and surely this story will share that strength with others who need it. Thank you! Thank you Sharon. I used to be ‘her’ and when I was I remember wishing for someone to be there for me. I wondered if someone being there would have helped me find the strength to leave before I did… If I can give that to someone else and help them then it felt as if everything I went through was for a reason. To be able to help someone else. Thank you for your comment. A truly inspiring story. Such determination and achievement. Ladifi~ Thats the message I wanted to send. There was so much pain and devistation but I wanted others to see that out of it came hope and determination. No one ever thinks they are strong enough until its the only thing they have. Looking back I have no idea how I made it through but the point is I did and others can too. Thank you for your comment. Thank you Anne for sharing your story. Sometimes, it’s so easy to get caught up in the whirlwind that is life and not see how far we have come, how much we have healed, and how much of a positive impact we’ve made on the lives of others. I’m happy I read your story. You are an amazing person and I am so happy that you where able to share such an emotional story with others. Second time reading it and still all joked up. I am very happy for you. Thank you Jackie! I learn and grow everyday and am looking forward to whats ahead. 🙂 Love you too!! Love you Anne, we are all proud of you. Wow mom I have always known you to wright your personal expirences and I always knew you wrote this story and now being 14 and having a greater understanding I think this was an amazing story and I just want you to know I love you… I will always love you with all of my heart.